Using SPORTident Air+ to track teams at a score event. 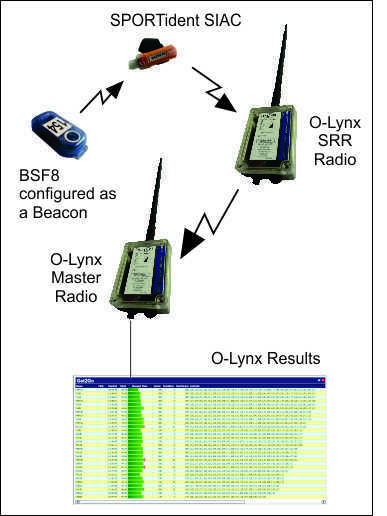 The competitors would be aiming to punch all 28 controls, 5 of which had the O-Lynx SRR radios. The standard BSF8 stations at the 5 radio controls were programmed as Air+ stations ( Beacon Controls ). The option to request any previously unsent punches was also ticked when the stations were setup. An additional BSM7 control and SRR Radio were set up as an Air+ Beacon Finish. This meant the controls punched just before the finish were also sent through prior to downloading. A standard punching start was used as shown in the photo. This used 3 BSM7 start controls and O-Lynx radios. 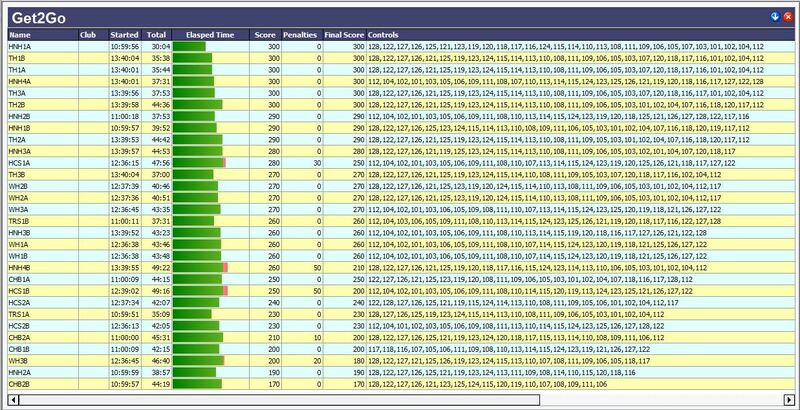 The score screen in O-Lynx results was modified with an extra column to show a list of controls that would update as the competitors progressed around the course along with their real time score. This allowed the coaches and spectators at the event centre to watch where the teams were going and the route choice decisions being made. As with other recent Score and Adventure race type events, O-Lynx software was used to carry out all the functions required for the event with no third party software used. Radio controls 127 and 101 were placed to give an early indication of the teams initial direction ( left or right ) while the other 3 radios were spaced over the map to send back blocks of information on the other controls the competitors were visiting. Summary : The use of the SIAC SI Cards holds a lot of promise for getting a lot more live information not only for score and rogaine events but also regular orienteering courses, especially with limited radio resources. Scores and Rogaines have up until now provided very little reason to use radios. This has meant that apart from when satellite trackers are being used, the event centres have no information until competitors start arriving back. 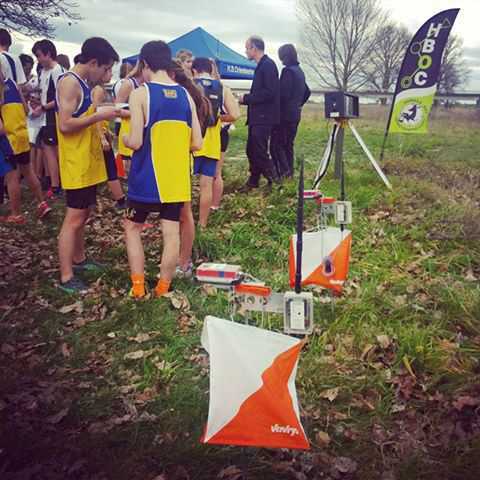 Technology like the SPORTident Air+ system holds the promise of being able to change this and do to Scores and Rogaines what O-Lynx has done to standard course based orienteering events – make them visible, exciting spectator events. Note : At this event not all punches were received via the radios as about 6 teams arrived at the first radio together and not all of their prior punches were sent back. It may be that some further buffer space needs to be allocated in the radios to cope with this scenario. If using Air+ at events, event organisers should study the information provided by Sportident on Air+ setup, and it is really recommended that the control stations be laid out and a test be carried out prior to setting up at the event. This will ensure that everything is checked and you are familiar with what is required on the day.